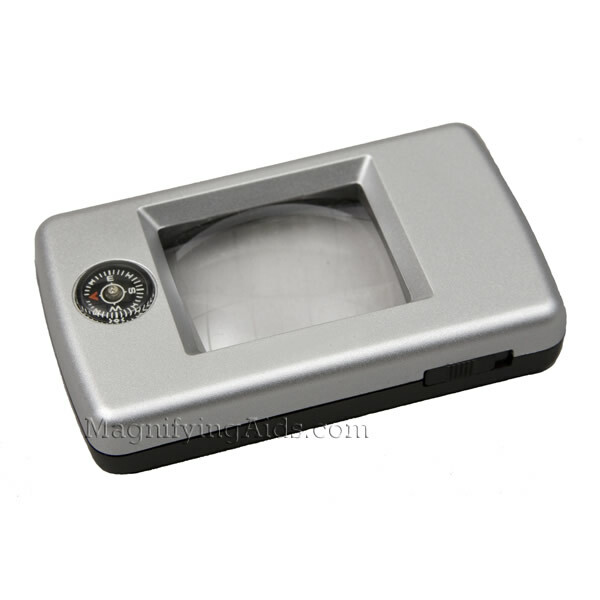 3X power high quality optical, lighted lens contains a useful compass that can be conveniently carried on trips. Unbreakable and scratch-resistant. For reading small print, contracts, telephone directories, stock listings, maps and charts, stamps and coins. * Requires 2 AAA batteries (not included).